Dog owners in our state can be held financially responsible for the harm caused by their pets. In fact, New Hampshire provides special protections to dog bite victims, such as the right to hold owners strictly liable if certain conditions are met. Damages awarded to a victim may include medical expenses, compensation for scarring and disfigurement, lost wages, and more. Punitive damages may also be available in cases of truly reprehensible conduct by a dog owner. Attorney John B. Kenison, Jr. is a dog bites lawyer in Manchester, NH. He understands the sensitive nature of these injuries - especially when they occur to the facial area or to a young victim. To learn more about Mr. Kenison’s proven track record in dog bite cases, please contact us. Damages awarded to a victim may include medical expenses, compensation for scarring and disfigurement, lost wages, and more. State statute imposes strict liability on a dog owner for harm caused by the animal’s “vicious or mischievous acts.” Strict liability can make it much easier to hold a dog owner responsible because the injured party does not have to prove that the owner acted negligently. To understand the practical implications from the plaintiff’s perspective, assume you are attacked by a dog while walking down the sidewalk. To prove your case under either strict liability or negligence theories, you must show that the dog belonged to the defendant and that the dog attacked and injured you. Under a negligence theory, you must also show that the owner acted carelessly (by leaving the front gate open and allowing the dog to escape, for example). Under a strict liability theory, you do not need to prove the owner acted carelessly. The law assumes this element of the case. For this reason, strict liability is often referred to as “no-fault” liability. This term is not meant to suggest that no one was at fault. Rather, it means that the plaintiff is not required to prove exactly what the defendant did (or failed to do) that led to the dog attack. Damages recovered by a dog bite lawyer for a victim may include present and future medical bills, rehabilitation, lost wages, emotional anguish, and more. New Hampshire also protects victims by allowing for strict liability in a wide range of factual circumstances. For example, liability can result even if the dog does not bite the victim. In an influential case that came before the state Supreme Court in 1996, the plaintiff was riding his bicycle when a small dog ran toward him. Fearing a bite, the plaintiff lost balance and sustained serious injuries in the fall. He was allowed to hold the dog owner strictly liable even though no bite occurred. Strict liability does have its limits, however. 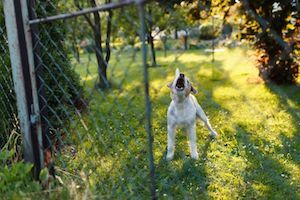 The law does not allow dog bite victims to bring a claim if they were trespassing or committing a tort (like physically assaulting the dog’s owner) at the time of the bite. We also identify the available homeowner insurance policies, since these are typically used to satisfy injury claims in dog bite cases. Everyone has a legal responsibility to act prudently in order to avoid putting other people in peril. If the owner of a dangerous animal caused you to suffer injury, reach out to our office today for assistance.